On a recent trip across country, my husband and I listened to a podcast by Dr. Michael Heiser, who has a PhD in the Hebrew Bible and Semitic Languages, and is the scholar-in-residence for Faithlife, the makers of Logos Bible Software. So, to say that he is well-educated and immersed in the Bible is an understatement. I find his writings and interviews illuminating, although I don't always agree with his conclusions. But that's OK .... God conceals the revelation of His word in the hiding place of His glory. But the honor of kings is revealed by how they thoroughly search out the deeper meaning of all that God says (Proverbs 25:2, The Passion Translation). And that truth applies to me, you, and Dr. Heiser. This particular podcast centered around a question he asked .... Are we willing to be serious about interpreting the Bible in context? And I would take it a step further .... are we willing to accept the context from which the New Testament writers wrote? Or are we only willing to shine a light on the set of beliefs that our churches have taught us (our doctrines), while ignoring the substance of material that informed the writers in what they wrote? 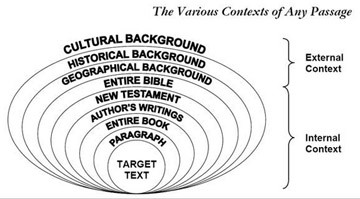 I think, if we are going to be serious students of the Bible, it is important to understand the culture, issues, and historical background of the times in which the Bible was written; and it is important to try to understand the purpose behind why the author was writing.... in other words, the context. It is important to recognize that the books of the New Testament, which is considered the authoritative canon (measuring stick) of the Bible were formed very late; scholars think around the 4th Century. But in the 2nd and 3rd Centuries, there were already many Christian documents being written and circulated. So although the Gospels of Matthew, Mark, Luke and John are part of our Biblical canon, they were all written in the 1st Century, long before the New Testament canon was established. The same is true of Paul's writings, which were also written in the 1st Century, and were circulating in the 2nd and 3rd Centuries, most likely as packets among the churches, but not yet as New Testament canon --- there was no New Testament at the time! It is important that we understand that during the time that the Apostles were writing in the 1st Century, there were other Christians writing prayers, poetry, and revelatory texts written by others who received information from Jesus as His disciples. It is not emphasized in the Church, but there were more than just the 12 Disciples that were true followers of Christ. History hasn't given us the exact number, but it is surmised that many thousands followed Him at the height of His ministry. How many were true disciples? We know that 120 true followers gathered in the Upper Room; that He appeared to at least 500 true believers after His resurrection; and that given the response on the Day of Pentecost in Acts 2, we can assume that the number of real disciples was in the thousands. We may not know the accurate number, but I think it also realistic to assume that many of them made their testimonies available in those years that Matthew, Mark, Luke, John, and Paul were doing their own writing. And while those writings might not have been established as official Canon by the time the various church councils established the New Testament in the 4th-5th Centuries, they are amazing and valuable texts for teaching us about what early Christians believed. So that brings me back to the question by Dr. Heiser, Are we willing to be serious about interpreting the Bible in context? And, are we interested in looking at what those New Testament writers were reading in order to better understand the context from which they wrote? Or are we satisfied in imposing our own limited context [and our denominational doctrine and theology] on the Bible? Another fascinating Book that helps us to understand the context of the Bible is the Book of Enoch. The first part of this ancient book describes the fall of the Watchers, the angels who fathered the Nephilim. The remainder of the book describes Enoch's visits to heaven in the form of travels, visions and dreams, and his revelations. Considering that Enoch was Noah's great-grandfather, it is interesting that this Book offers unique information regarding the origins of supernatural demons and giants, why some angels fell from heaven, details explaining why the Great Flood was morally necessary, and prophetic exposition of the thousand-year reign of the Messiah --- giving us historical relevance for the mysterious and difficult-to-interpret-and-understand passage in Genesis 6:1-4; which I have seen many a pastor skip because they don't want to take it literally. I am willing to agree that the Book of Enoch may not have been accepted by the Nicene Council in the 3rd Century, but if God inspired Jude to quote from it, why would it not be important for us to consider it as part of the context in which the Bible was written? For me, it becomes a matter of either wanting to understand the Bible from the perspective of the author who composed it, and the audience he was writing to, and the reason he was writing it -- or I just want to limit the context of the Bible to fit my theology, which is 2000 years or more after the writers wrote what they did. A good example of this is the writings of Paul. I think we can all agree that Paul helped establish a number of churches across a broad area of the known world shortly after Jesus's crucifixion and resurrection. His mode of communication with all these churches included circular letters, a word by messenger, and an occasional visit when it was convenient. It is easy to read the Bible and think because it is the inspired Word of God that Paul served as God's authoritative voice to establish Biblical doctrines and practices that all future Christians should observe. But when considering his writings from a historical and cultural perspective, can you reflect on the possibility that, as a mentor to those churches he established, Paul is addressing specific issues that arose in those particular congregations? For instance, he wrote to the Church in Ephesus, Masters, treat your slaves in the same way. Do not threaten them, since you know that he who is both their Master and yours is in heaven, and there is no favoritism with him. This does not mean he is advocating slavery, anymore than he is promoting the practice of all women in the church remaining silent in 1 Timothy. (For an interesting take on this topic, read my blog post on women in the church). He is addressing a particular situation in Ephesus that, frankly, we don't have a definitive idea as to what it's about. Paul is writing to a particular group of people, at a particular time in history, about a particular subject. Is it inspired that we might glean some 21st Century truth for our own walk of faith? I believe that answer is "Yes". But I think it is important to recognize the context in which it was written -- to 1st Century believers about particular issues. It is a difficult thing to navigate the Bible. Some Books were in the original Canon of the Bible and removed in 1684, such as 1 and 2 Esdras, 1 and 2 Maccabees, the Book of Judith, Bel and the Dragon, the History of Susana, and seven more. And then there is the Book of Revelation which was rejected by many more orthodox-leaning Christians and is absent from early canon lists, but is now considered canonical in virtually all modern Christian denominations. To sum it all up, if we call ourselves Christians, the Bible is the only authoritative book we have on our faith. I believe it IS the inspired Word of God, but I also see that man, down through the centuries, has tried to shape the Bible (and its understanding) for his own purposes. 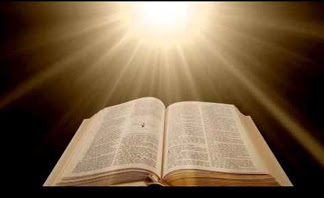 But I believe that God can still speak to us in Truth from the Bible through the revelation of the Holy Spirit. And if ancient sacred texts such as the Book of Enoch or the Book of Jasher are endorsed by Scripture, and can add to the illumination of the Holy Spirit, and the original inspiration given to the writers, then I want to know what they say. And here's a final thought.... if we ignore the context of the Biblical writings and don't know what inspirational texts they were reading, then it's going to be easy for the modern writers of the History Channel's Ancient Alien series, and the writers of the Marvel Studio movies to control the narrative of these "last days" and distort the Truth of our returning King. Which do you think have more merit ... the writers of the 1st Century who understood the culture and the context of Jesus's message? Or the imaginations of 21st Century writers who have hundreds of years of distortion and falsified information to weave their tales? Something to think about. I know! I have been castigated in a ladies Bible study because I dared to share something from the Book of Enoch. It can be discouraging, but my spirit refuses to settle for less than what God wants to reveal. And I trust the Holy Spirit in me to give my spirit a check if something is not from God. It is so refreshing to hear from someone like you who is not afraid of knowing more about the God we serve! Bless you for your encouragement!